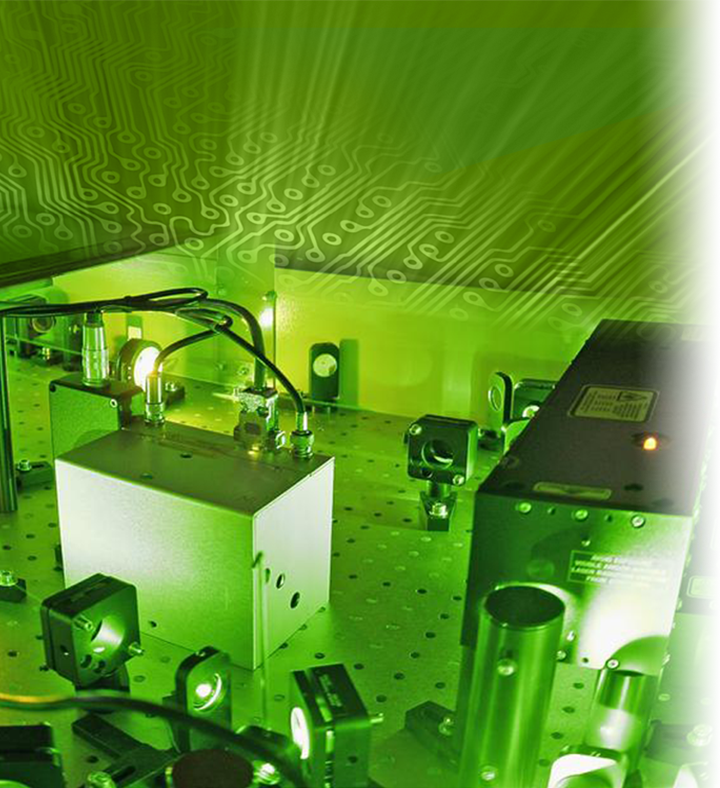 Nanosecond Q-switched Nd:YAG lasers, fiber lasers, laser diodes / semi-conductor products for PIV, LIBS, flat panel diplay repair, LIDAR, atom cooling or marking applications. 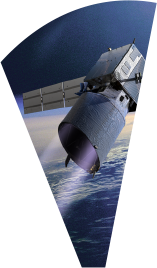 International development contracts for aerospace, space or defense, design and development of lasers for national and global projects, for industrial companies in France or in the USA. Full range of laser exposure testing services: damage threshold, durability certification, optical density, specialty testing and other exposure test services available at key laser wavelengths. Ophthalmic lasers to treat retinal diseases, secondary cataract, glaucoma and ARMD; Ultrasound Systems for ocular measurements and diagnosis; lines of consumable: Laser Probes and Single Use Lenses. 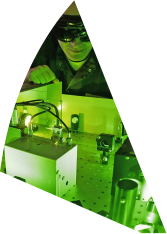 Quantel Group is founded, specializing in solid-state lasers for Medical and Industrial/Scientific applications, currently based in Paris, France. Big Sky Laser is founded and acquires and merges leading laser development companies, resulting in Quantel USA. Quantel created a subsidiary with the acquisition of Biovision, later becoming Quantel Medical. This merge combined Quantel’s long history of laser expertise with ophthalmic industry experts, resulting in the two ophthalmic product lines: lasers and ultrasound. Quantel Medical begins development of the world’s first solid-state 532nm photocoagulator with a diode pump - a world-class innovation. Introduction of parfocal zoom on a slit-lamp adapter. Quantel Medical introduces the Viridis™ solid-state photocoagulator, bringing the era of argon lasers in ophthalmology to an end. Quantel Medical’s international business grows to more than 70 distributors worldwide. A direct office in Asia is established. Quantel Group is listed on the New Paris Stock Exchange and new capital is secured to expand the business. Quantel introduces the Viridis Twin offering 532nm and 810nm in one system. Quantel creates a USA subsidiary, Quantel Medical, Inc.
Introduction of Activis™ and Iridis™ for treating ARMD and the Optimis™ Yag for laser capsulotomy. Quantel enters partnership with Coherent to OEM the Novus Verdi, selling over 1000 systems in the next five years. Quantel Medical advances the ultrasound market with two new products: Cinescan™ A/B and the Axis II™ biometer. Two first to market ultrasound features are introduced: Varigain™ and Cineloop™. 2 high-frequency probes are introduced for the retina and the anterior chamber. Introduction of the Pocket II™ pachymeter for glaucoma diagnosis. Viridis Twin receives FDA clearance. In 10 years, 8,000 ultrasound systems and 2,500 lasers are installed. Introduction of Vitra™ – the smallest 532nm photocoagulator in the ophthalmic market, FDA clearance received. Introduction of Aviso™, a new generation of ultrasound on a PC platform, FDA clearance received. Quantel Medical introduces multi-color and micropulse features with the Supra™ photocoagulator. The first time MicroPulse® is offered in multiple wavelengths: 532nm and 660 or 810nm, FDA clearance received. A true yellow laser, Supra 577.Y, is introduced as the benchmark product to treat near the macula. Solutis™, an SLT laser for glaucoma treatments is introduced. Echo Data manager is introduced: to meet DICOM and EMR standards. Lin25 and Lin50 are introduced: linear-scanning UBM probes designed for for the anterior chamber. ProBeam™ is introduced: a biometry probe with a built-in laser pointer for high-precision measurements. Axis Touch™ and Compact Touch™ are introduced: A new generation of ultrasound systems with touch-screen control. Quantel Medical introduces the world’s first 577nm multispot pattern scanning laser with MicroPulse®: SupraScan™ 577. FDA clearance received for the Supra 577.Y. Aviso S, Axis Nano, and Compact Touch STS. Supra Scan receives FDA clearance for the 532nm wavelength. Quantel Medical establishes new headquarters in Clermont-Ferrand with increased R&D, Manufacturing and Global Sales management capacity. Introduction of the Vitra™ Multispot, a pattern-scanning photocoagulator specifically designed for PRP treatments. Supra Scan 577 receives FDA clearance. Expansion of the U.S. customer support operation bringing increased technical and clinical support to U.S. customer base. VitraTM Multispot receives FDA clearance. Direct sales operations in France and the U.S. and a network of distributors in over 110 countries result in over 22,000 ultrasound and laser systems installed worldwide. Quantel Medical introduces Optimis Fusion, SLT/YAG laser platform easily combined with VitraTM or VitraTM Mulispot lasers, offering a glaucoma, Cataract and retina laser in one laser. Optimis Fusion receives FDA clearance. The company also introduces two new disposable product ranges: Vitra™ Probes, premium next generation laser probes for retina treatment, and a new range of Single Use Lenses for the diagnosis and treatment of the eye. Quantel Medical introduces its new generation of 10 MHz B probe, offering multiple diagnostic advantages and new capabilities. This new 10 MHz B probe is compatible with our AvisoTM and Aviso STM systems. Quantel Medical launches New Easyret fully integrated 577nm Yellow photocoagulator for macular and peripheral retinal pathologies based on fiber laser technology. Medical devices market is a tightly regulated sector at both international, European and national levels. Quantel Medical’s Quality Department is in charge of certifying a top quality of services, carefully considering both patients and users protection, and environment issues. All Quantel Medical’s departments are certified to both ISO 9001 and ISO 13485. Quantel Medical is closely tied to Regulatory Affairs, maintaining a high compliance level through mandatory conformity marking, certifying that its products meet all the requirements in many different countries. This implies to constantly track legal and regulatory developments worldwide, allowing Quantel Medical to register its products with all the technical support and processes required. Quantel Medical’s products are all complying with CE Mark, enabling the free movement within the European market. Quantel Medical is committed to providing each customer with comprehensive customer support programs to ensure their success. From initial installation and training, to service and technical support throughout the life of the device, Quantel will provide solutions to keep your staff trained and your device up and running to avoid any downtime in your practice. With his 25 years of experience, Jean-Marc Gendre‘s renowned expertise in Ophthalmology is not to demonstrate anymore. Within his strong knowledge in the medical field, he quickly reached a Marketing and Sales Director position at American Medical System. 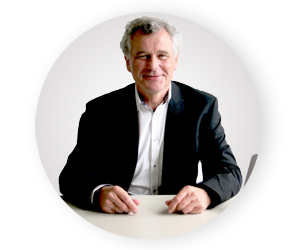 Heading Quantel Medical since 6 years, Jean Marc Gendre gives a steady growth dynamic, enabling the company to strengthen its global leadership position on ophthalmology’s market. 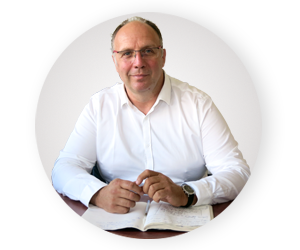 Expert in the development of worldwide ophthalmic commercial activities since 20 years, Pascal Besson has been responsible for French and Belgium Refractive Sales Department at Abbott Medical Optics Inc., between 2002 and 2009. Since then, he is taking care of Quantel Medical’s sales, evolving from Sales & Service Director EMEA & Latin America to VP Sales with the high responsibility to develop the activity worldwide. 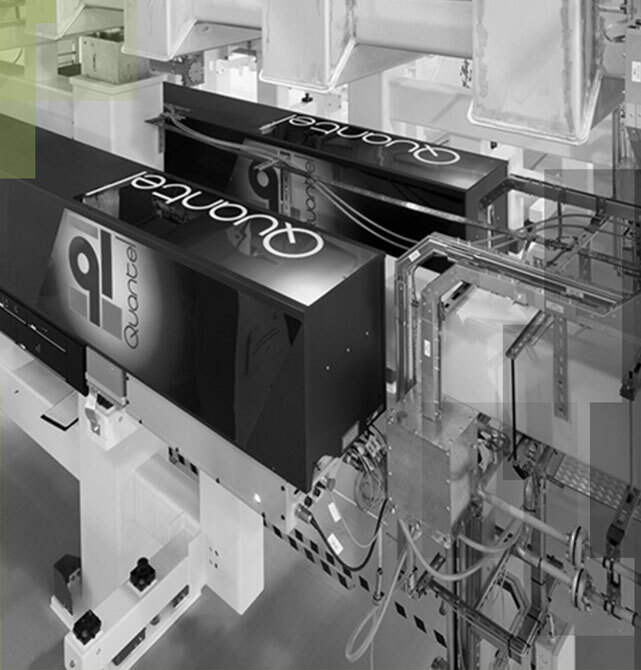 Entered at the beginning of the Quantel Medical adventure, with a past experience in the same field at Biophysique Medical which has become Alcon, Christian Chabrier holds a position of technical director. He is responsible for the technical operating, namely the Research, the industrialization and the production of Quantel medical goods. He has become an expert in the field of managing people since 30 years in Biophysique Medical, Alcon, and Quantel Medical, as well as in the technical field of ultrasound and medical lasers, and in a generic manner in the development of new medical devices. 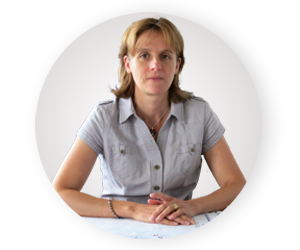 After having spent, at the beginning of her career, two years within a refrigerating transportation group as a cash manager, she arrived in the Auvergne and integrated BV international (which became Quantel Medical) about almost 20 years ago. Her position and function have evolved with the structure as the team included less than ten people when she arrived. During 20 years she has contributed to the growing of Quantel Medical through her function as a responsible of the Financial and Management Department. 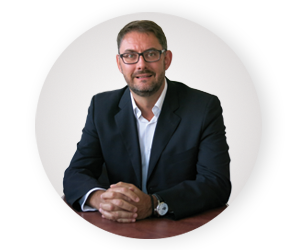 Over his 20 years of experience in ophthalmology, Jan-Philippe Heydel has served several capital equipment and pharmaceutical companies in different operational roles in export sales and marketing. He participated in the launching and development of products in various geographical areas: Asia, Middle-East, Africa and South America. He joined Quantel Medical in 2011 as product manager of the ultrasound range. Since the beginning of 2015, he is in charge of Quantel Medical marketing department. 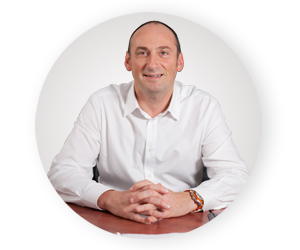 Bruno started his career as a consultant in quality management. In 2000, he joined EDAP-TMS, a company specialized in urology (prostate cancer and kidney stones) where he was head of department for quality and regulatory affairs. 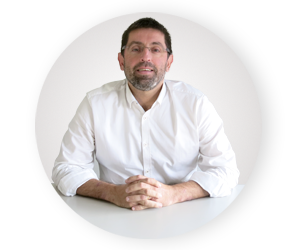 Given the international activities of EDAP-TMS, Bruno has gained a large experience in international environments for both quality and regulatory issues. He is now at the head of Quantel Medical’s regulatory and quality affairs since September 2016. Quantel Medical today announced that it has received the approval for the Japanese market for the innovative new Easyret™ fully integrated 577nm yellow photocoagulator, which is used to treat certain forms of macular edema and peripheral retinal pathologies. The Easyret™ has a broad range of settings for treatment of pathologies such as diabetic retinopathy, macular edema and central serous chorioretinopathy. In addition to SingleSpot treatment mode, surgeons can select Multispot mode for a pattern of simultaneous targets or the SubLiminal™ mode, which enables them to customize a train of short pulses to precisely manage the thermal effect on targeted tissues. Quantel Medical today announced the launch of the new generation of the Compact Touch ophthalmic ultrasound platform at the 35th Congress of the European Society of Cataract and Refractive Surgeons (ESCRS 2017) held in Lisbon, Portugal October 7 - 11. The new Compact Touch features exceptional image quality and state-of-the-art interactivity in a compact, versatile design. Since the last generation of Compact Touch was launched in 2008, more than 3,000 units have been sold worldwide. This best-selling Quantel Medical ultrasound product has been prized for its high image quality, intuitive software design, compacity, IOL calculation options and pachymetry. Improvements in the new generation of Compact Touch include a 15 MHz B probe to increase the quality of the B-scan imaging, which the platform performs along with A-scan and pachymetry modes. Interactivity is enhanced with DICOM compatibility, WiFi and Bluetooth connectivity and HDMI video output. The sleek, modern design now utilizes a new generation touch screen interface, and the device is fanless and silent as a tablet. 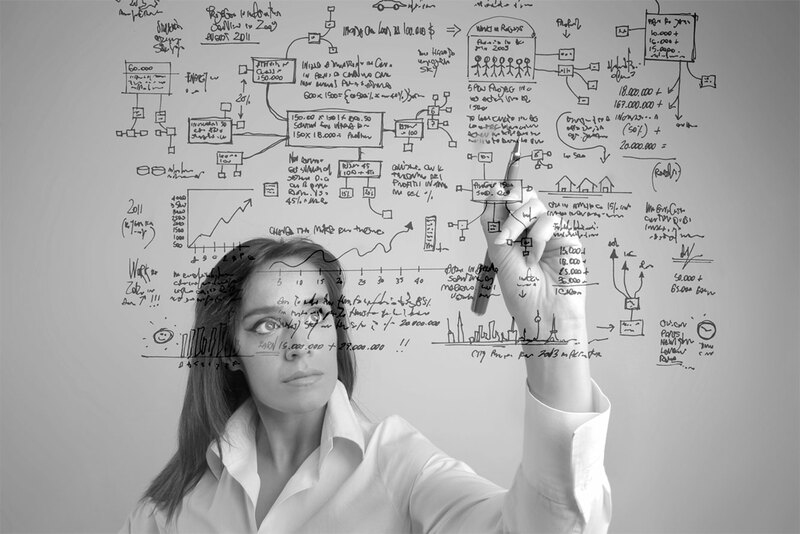 User-friendly design and software enhancements improve workflow. The Compact Touch has now received CE Mark. Quantel Medical today announced that it has received approval from the U.S. Food and Drug Administration (FDA) on July 25, 2017 for the innovative new Easyret fully integrated 577nm yellow photocoagulator, which is used to treat certain forms of macular edema and peripheral retinal pathologies. The Easyret has a broad range of settings for treatment of pathologies such as diabetic retinopathy, macular edema and central serous chorioretinopathy. In addition to SingleSpot treatment mode, surgeons can select Multispot mode for a pattern of simultaneous targets or the SubLiminal™ mode, which enables them to customize a train of short pulses to precisely manage the thermal effect on targeted tissues. Safe, effective, 2-minute procedure represents important advance in treatment of this progressive, sight-threatening disease. Glaucoma is a group of eye diseases that develop due to elevated intraocular pressure (IOP), which can affect the optic nerve and cause vision loss. According to the World Health Organization, glaucoma affects more than 65 million people worldwide and is the second leading cause of legal blindness. Thermal transscleral cyclophotocoagulation is an effective treatment for glaucoma that reduces production of aqueous humor in the eye’s ciliary body, lowering IOP. However, because it is a destructive procedure associated with side effects and complications, it is recommended only for patients with refractory glaucoma for whom previous treatments have failed. 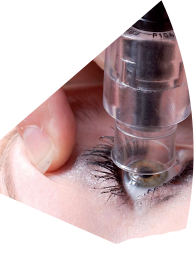 SubCyclo is a novel non-thermal glaucoma treatment based on the transscleral cyclophotocoagulation principle. The procedure lowers IOP by stimulating the ciliary body and the uveoscleral pathway, a route of aqueous outflow, without destructive effects. The SubCyclo probe is available on Quantel’s Supra 810 laser and based on SubLiminal™ proprietary technology. A major proof of the commercial success of our portable A/B system with the manufacturing of the 3000th Compact Touch unit. Highly appreciated for the image quality in B mode and the measurement accuracy in biometry and pachymetry, Compact Touch is a worldwide commercial success since its launching in 2008. Quantel Medical’s knowhow in ultrasound technology is recognized by opinion leaders worldwide and we are glad to see that Compact Touch highly contributes to our success. Quantel Medical is proud to announce the manufacturing of the 3000th Vitra laser console! This is a work of many hands and the achievement of a huge commercial success. This 3000th Vitra laser will soon leave our manufacturing plant to fly to the USA for installation. The fully integrated system brings ELBA fiber laser technology to macular and peripheral retinal procedures. Quantel Medical (Quantel) announced the launch of the innovative new Easyret fully integrated 577nm yellow photocoagulator for macular and peripheral retinal pathologies. The Easyret has a broad range of settings for treatment of pathologies such as diabetic retinopathy, macular edema and central serous chorioretinopathy. In addition to SingleSpot treatment mode, surgeons can select Multispot mode for a pattern of simultaneous targets or the subthreshold Micropulse* mode, which enables them to customize a train of short pulses to precisely manage the thermal effect on targeted tissues. *MicroPulse is a trademark of Iridex. Quantel Medical announced it has been awarded a €3 million competitive tender for ophthalmic laser equipment. Under the terms of a supply agreement signed by the Directorate General of Armed Forces Medical Services of the Indian Ministry of Defense, Quantel Medical will provide 61 photocoagulator lasers (532nm Supra with Suprascan) for use in 53 military hospitals across India. 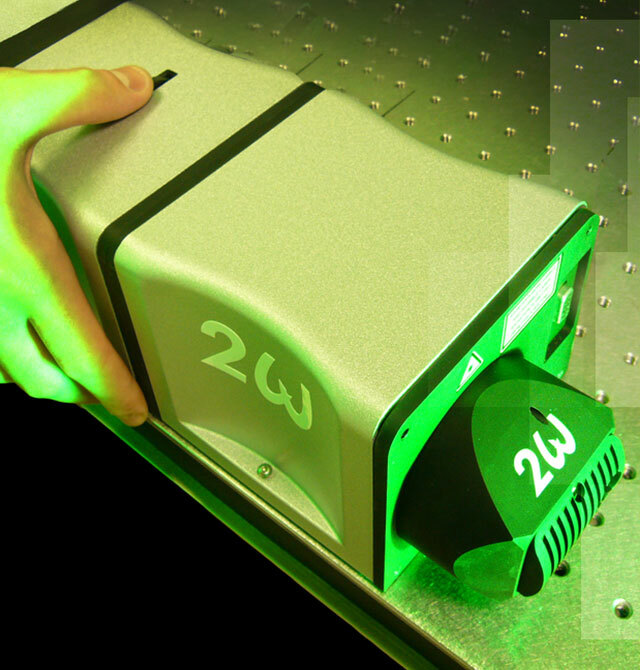 The 532nm Supra with Suprascan is a diverse and versatile laser platform capable of delivering a number of Multispot and MicroPulse® patterns. “Diabetes is extremely prevalent in India, affecting more than 62 million individuals, or about 7% of the adult population. It is well known that uncontrolled diabetes can be a precursor for the development of vision-related complications, including diabetic retinopathy and diabetic macular edema, both of which are also very common in India. One study suggested that as many as 20% of individuals with diabetes in India are affected by diabetic retinopathy,” said Jean‐Marc Gendre, CEO of Quantel Medical. “This agreement will put an extremely powerful treatment option in the hands of physicians who treat patients with diabetic eye disease, and it is a platform that can be adapted to use for other applications as well. Laser treatment of diabetes is in many cases as effective as medical treatment, and it is demonstrated to be much more cost effective,” added Jean‐Marc Gendre, CEO of Quantel Medical. Quantel Medical announces the launch of a fully redesigned website (www.quantel-medical.com). This new website provides comprehensive information about the company’s products and their associated clinical advantages. The new design and enhanced navigation incorporate a brand-specific color scheme to build cohesiveness with Quantel Medical messaging. Simplified site navigation and enhanced search capability make it quick and easy for the visitor to find the appropriate product or application information to suit a wide range of ophthalmic therapeutic solutions. Presentations, webinars, physicians’ testimonials, tutorials, case studies, clinical articles and guidelines about Quantel Medical products to provide added value for the ophthalmic community. News and events, including a schedule of tradeshow participation across the globe, and information about Quantel Medical’s latest innovative products. Convenient forms to request product pricing information, demos and brochures. Integrated LinkedIn and YouTube buttons to nurture improved communication with clients while linking them to the partners’ portal (Extranet) for relevant internal information. “With the redesign of our website, we hope to relaunch our commitment to providing cutting edge medical devices for the ophthalmic community. The new design reflects our intention to provide robust information for partners and media and be responsive to our customers’ needs while serving to provide even more information for end users, specifically, the eye care community. We believe that this new website will allow our visitors to have a very informative experience as we continue to grow and increase our market presence,” said Jean-Marc Gendre, CEO of Quantel Medical. 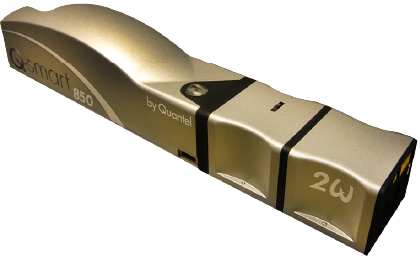 Quantel Medical announces the availability of a new generation 10 MHz ultrasound B probe capable of never before available imaging of ocular anatomy, the vitreous, ocular wall, and vitreoretinal structures and features. Several engineering advancements, including reduced signalCtoCnoise ratio, a large dynamic range, and high sensitivity, combine to offer unparalleled visualization and characterization capabilities for low reflective structures, such as inflammatory cells, blood cells, floaters, and membranes. Because it can produce superior image quality, the 10 MHz probe can facilitate the identification of critical ocular structures, including the posterior hyaloid, and aid in the differential diagnosis of anatomic changes at the vitreoretinal interface, such as tractional detachments and tears. The 10 MHz probe is fully compatible with Quantel Medical’s Aviso and Aviso S platforms, Quantel Medical’s market leading ultrasound platforms that have been heralded for being multifunctional and versatile for use in various ophthalmic settings. Aviso and Aviso S are compatible with a full line of anterior and posterior segment probes to offer a full range of diagnostic capabilities. These platforms are powerful and adaptable diagnostic tools, offering full AC and BCscan capabilities for applications as diverse as ocular biometry to globe, orbit, retina, and anterior segment diagnostics. Quantel Medical announces the launch of a new website (www.retina-­yellow-­laser-­therapy.com) dedicated to educating the medical community about the benefits of using yellow wavelength light during ophthalmic surgeries. The website will serve as a resource for interested ophthalmic professionals to learn more about Quantel Medical’s proprietary 577-­‐nm SubLiminalTM laser therapy, specifically about its applications in treating Diabetic Macular Edema (DME) and Central Serous Chorioretinopathy (CSCR). Quantel Medical’s technology uses microsecond laser pulses, followed by intermittent cooling times, to deliver a thermal effect to the desired treatment area. Compared with continuous-­‐wave lasers, SubLiminal requires less energy, and, therefore, engenders less of a risk of burns or scars. Yellow wavelength light, and in particular the 577 nm wavelength, has several desirable properties for retinal applications: it causes less scatter while requiring lower energy compared with green laser and other yellow light wavelengths; it is minimally absorbed by xanthophylls, potentially allowing for treatment near the fovea; because it is highly absorbed by oxyhemoglobin, it is ideal for treating vascular lesions and subretinal vascular proliferations; and the 577-­‐nm wavelength is capable of penetrating opacified media, such as cataracts. The website will serve as a clearinghouse of studies, presentations, and other published literature pertaining to the safety and efficacy of 577 nm SubLiminalTM therapy for various ophthalmic applications. Also on the site are videos from prominent surgeons Victor Chong, MD; Sacha Fauser, MD; Giovani Staurenghi, MD; and Emin Ozmert, MD, which were recorded at a sponsored symposium held by Quantel Medical at a recent congress. Although much recent research in the treatment of DME has centered on medical management, laser therapy has long been considered an important management strategy. Additionally, laser therapy remains the only proven option for DME that does not involve the fovea. Clinical studies demonstrate that SubLiminalTM using 577-­‐ nm wavelength light effectively reduces edema, with effects lasting for 6 months or longer. The effects may not be as apparent as quickly as with medical therapy, however, they tend to last longer and cost less than treatment with anti-­‐VEGF therapy. In the treatment of CSCR, 577-­‐nm SubLiminalTM offers an alternative to thermal photocoagulation for extrafoveal leakages without causing symptomatic scotomas and choroidal neovascularization. In a recently completed retrospective study, subthreshold SubLiminalTM laser treatment in patients with CSCR lowered central retinal thickness by a mean 115 µm and improved visual acuity by a mean 0.06 logMAR after a mean of 5 months of follow up. There were no laser burns detected among the 38 patients. The 577-­‐nm SubLiminalTM laser therapy is available on Quantel Medical’s Supra Scan 577 treatment platform. It offers a wide range of pattern scans and customizable retina patterns, as well as the proprietary SubLiminalTM Mode, to provide a powerful tool for the treatment of many retinal disorders. vasculopathy (PCV) and central serous retinopathy (CSR). 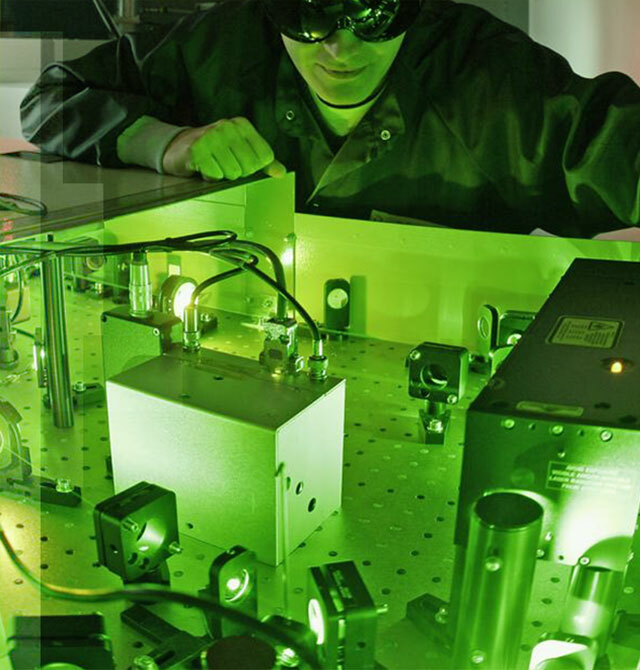 Quantel, the sole manufacturer of this laser technology, plans to begin commercializing the laser platform immediately in countries requiring CE registration. neovascular age-related macular degeneration (AMD) and in 4% to 12% of caucasians. However, it is currently believed that the true prevalence of disease is underreported, and accordingly, additional demand for treatment modalities is anticipated. Studies have demonstrated excellent short-term efficacy of PDT for treating PCV. CSR, also known as central serous chorioretinopathy (CSC), is an eye disease which causes visual impairment, often temporary, usually in one eye. When the disorder is active, it is characterized by leakage of fluid under the retina that has a propensity to accumulate under the central macula. The new steerable probe allows unparalleled access to the retina with its steerable concept and 360° rotatable handle. The flexible curved probe's exclusive design features a flexible needle with a memory shape effect. Each probe in the line offers operator comfort of use with its optimized features. optical improvement, the lenses provide a solution to many of the concerns that are often associated the risk of infection from improper disinfection of traditional, reusable lenses. "The two new product introductions reflect Quantel's commitment to bring innovative new technologies to market that address the needs of our customers and their patients,” commented Jean-Marc Gendre, Chief Executive Officer of Quantel Medical. “We are excited to bring these new product breakthroughs to the eye care community on a global level. Quantel Medical today announced FDA 510(k) clearance for its Optimis Fusion™ integrated laser platform. The Optimis Fusion system combines advanced selective laser trabeculoplasty (SLT) photoregeneration therapy and traditional YAG photodisruption treatments to offer ophthalmologists a versatile armamentarium for treating both cataract and glaucoma in an efficient combination platform. The Fusion’s unique SLT mode incorporates the most advanced laser technology available to provide a first-­‐choice treatment for managing glaucoma and lowering intraocular pressure. SLT therapy works by targeting melanin-­‐rich cells that absorb the laser energy to induce a healing response, improving the function of the trabecular meshwork. Laser energy is delivered in short, fixed pulses over a large, homogeneous spot size, resulting in no thermal damage. Due to this gentle delivery and lack of permanent destruction to the trabecular meshwork, SLT leaves structures intact, making it a repeatable procedure. The YAG mode delivers high-­‐performance photodisruption for capsulotomy and peripheral iridotomy surgical procedures. 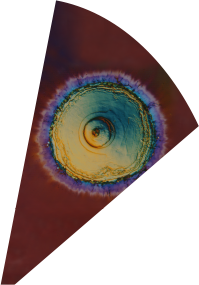 The gaussian laser beam profile allows for precise laser delivery at minimum energy levels, avoiding adverse side effects such as lens pitting. Precise tissue targeting is achieved with the advanced two-­‐point aiming beam, allowing for fast and accurate targeting of the capsule, and an adjustable anterior and posterior offset feature allows for easy focus adjustment in front of, behind, or at the point of disruption. Integrating the Optimis Fusion with Quantel’s Vitra™ Monospot and Multispot pattern-­‐scanning retina laser systems, offers comprehensive treatment options for multi-­‐specialty practices looking to treat glaucoma, cataract and retina conditions in one laser platform. Glaucoma is a group of diseases that damage the eye’s optic nerve and can result in vision loss and blindness. Glaucoma can be roughly divided into two main categories, "open-­‐angle" and "closed-­‐angle" (or "angle closure") glaucoma. A cataract is a clouding of the lens inside the eye, which leads to a decrease in vision. It is the most common cause of blindness and is conventionally treated with surgery. Quantel Medical today announced a treatment guideline for the use of subthreshold MicroPulse® laser for treating diabetic macular edema using Quantel’s SupraScan™ 577 laser platform. The introduction of the treatment guideline is the first step to initiating a multi-center study design in which all participating sites can perform the laser treatment under the same parameters. The study design will have two main objectives; one, to achieve improved patient care for DME patients in the era of anti-VEGF treatments, and two, establish the indications for use and the optimum subthreshold MicroPulse® laser treatment parameters to be used. Quantel Medical’s Advisory Board Chairman, Professor Victor Chong, MD, FRCS, FRCOphth, Oxford Eye Hospital, initiated the creation of the treatment guidelines working with the SupraScan 577. Professor Chong presented the initial results of a histological study at ARVO in May 2014. The histological animal study was a key milestone in establishing the criteria for the treatment guidelines, including clinical validation of the preferred wavelength to use, the recommended duty cycle to use, and the optimum “dosage” of energy for MicroPulse® delivery. This study confirmed the clinical findings that retina was best preserved by using MicroPulse® subthreshold laser photocoagulation with the 577nm wavelength, a 5% duty cycle and by reducing power to 50% of threshold power. Quantel Medical’s SupraScan 577 laser is the ideal platform to be used in this study due to its 577nm yellow wavelength, offering ideal energy absorption, and its multispot delivery mode, offering uniform placement and homogeneous laser impacts across the intended targets. These two advanced features combined with MicroPulse® delivery mode provide the most advanced laser platform for treating retina diseases. Quantel Medical announced CE Mark approval for its Optimis Fusion™ integrated laser platform. The Fusion system combines advanced selective laser trabeculoplasty (SLT) photoregeneration therapy and traditional YAG photodisruption treatments to offer ophthalmologists a versatile armamentarium for treating both cataract and glaucoma. Quantel will immediately begin commercialization in all CE Mark-approved countries. FDA approval is expected in 2014. 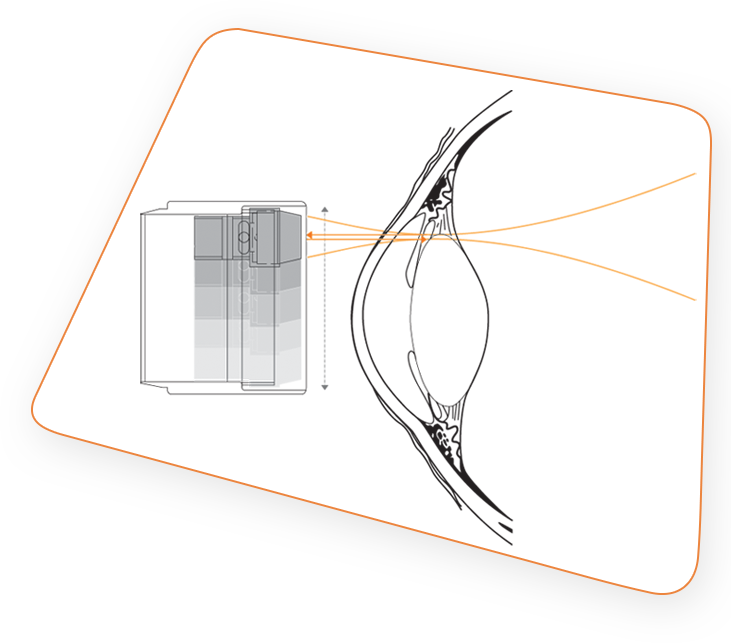 The Fusion’s unique SLT mode incorporates the most advanced laser technology available to provide a first-choice treatment for managing glaucoma and lowering intraocular pressure. SLT therapy targets melanin-rich cells, which absorb the laser energy to induce a healing response that begins to improve the function of the trabecular meshwork. The laser energy is delivered in short, fixed pulses over a large, homogeneous spot size, resulting in no thermal damage. Due to the gentle delivery and no permanent destruction to the trabecular meshwork, SLT leaves the structures intact and can be repeated if necessary. The YAG mode delivers high-performance photodisruption for capsulotomy and peripheral iridotomy. The gaussian laser beam profile allows for precise laser delivery at minimum energy levels, avoiding side effects such as lens pitting. Precise tissue targeting is achieved with the advanced two-point aiming beam, allowing for fast and accurate targeting of the capsule, and an adjustable anterior and posterior offset feature allows for easy focus adjustment in front of, behind, or at the point of disruption. In addition to this world-class SLT and YAG combination laser, the Fusion integrates smoothly with Quantel’s Vitra™ Monospot and Multispot pattern-scanning retina laser systems, offering comprehensive treatment options for multi-specialty practices to treat glaucoma, cataract and retina conditions in one laser platform. Quantel Medical, a world leader in ophthalmic ultrasound and laser devices, today announced that Solutis™, an SLT (selective laser trabeculoplasty) glaucoma laser, has been approved for clinical use by the U.S. Food and Drug Administration. Quantel Medical, a world leader in ophthalmic ultrasound and laser devices, today announced that it recently sold its 400th Multispot laser for the treatment of retinal disease, including, among others, diabetic macular edema (DME), central serous retinopathy and retinal vein occlusion (RVO). Quantel’s two Multispot laser systems – the SupraScan™ 577 and Vitra Multispot™ – offer a comprehensive range of treatment patterns in conjunction with precisely controlled laser emission, providing an improved experience for both patient and physician. Both Multispot lasers leverage pattern-scanning technology to achieve optimal treatment results. Short, 10-20ms pulses are placed in a variety of potential patterns, resulting in reduced heat diffusion to the retina and choroid and, subsequently, reduced collateral damage to surrounding tissue. Multispot treatment is characterized by a more comfortable experience for patients, extremely efficient treatment (full pan-retinal photocoagulation (PRP) is possible in 2 sessions), and shorter laser sessions, when compared to traditional laser treatment. The SupraScan 577 is a 577nm photocoagulation laser that adapts to Haag Streit-type slit lamps. 577nm wavelength treatment is both efficient and efficacious, utilizing less power during treatment and achieving excellent combined absorption by both melanin and oxyhemoglobin, making 577nm an ideal choice for penetrating cataracts and hazy media. Additionally, the system is capable of performing MicroPulse™*, a tissue-sparing treatment mode that segments laser delivery into a sequence of extremely short, microsecond pulses. spot-to-spot laser burn consistency, and that fluence is controlled and consistent for each spot. Quantel Medical today announced the U.S. Food and Drug Administration (FDA) 510(k) market clearance of the Vitra Multispot™ laser. The product was developed by Quantel Medical to give access to advanced pattern-scanning technology to ophthalmology practices worldwide though intelligent design. Quantel Medical has announced U.S. Food and Drug Administration (FDA) 510(k) market clearance of its SupraScan 577 Laser, an ophthalmic laser system for treating a wide range of retinal diseases. The SupraScan 577 uniquely combines three of the most clinically sought-after components in a retina laser – 577nm yellow wavelength, pattern-scanning, and MicroPulse® tissue-sparing laser emission modes. The clinical absorption characteristics of the 577nm yellow wavelength, specifically high absorption in oxyhemoglobin and low absorption in xanthophyll pigments, coupled with the ability to efficiently transmit through opaque ocular media have made it the wavelength of choice for retina treatments. Quantel’s SupraScan 577 is the first yellow laser on the market capable of pattern scanning delivery in both conventional and tissue-sparing MicroPulse® modes available in the U.S.
MicroPulse® is a Fovea-friendly tissue-sparing laser delivery therapy that works by electronically “chopping” the laser emission into trains of microsecond pulses. This enhances the physician’s ability to more precisely control the laser effects on target tissues, offering the potential for ocular treatment with less collateral effects than conventional laser treatments. access to Iridex MicroPulse® technology. This proprietary technology provides ophthalmologists a noninvasive treatment for sight-threatening diseases of the eye, including complications associated with diabetes. Unlike conventional laser therapy, MicroPulse® spares the eye tissue responsible for vision while producing comparable clinical effect to traditional methods that destroy tissue. “There is a significant need in the market place for efficient and durable therapies for retinal diseases associated with the growth of diabetes and the aging population,” stated Will Moore, Iridex President and CEO. He continued, “With 10-year follow up data, a growing global user base, and significant patent protection, MicroPulse® is emerging as a future standard of care.” The license agreement will allow Quantel Medical to market and display Iridex’ MicroPulse® technology for their range of high quality clinical lasers and is the next step in gaining broad market availability of MicroPulse® photocoagulation lasers. Both Quantel Medical and Iridex offer a full line of laser systems that offer standard photocoagulation in addition to MicroPulse® laser therapy. In July 2012, Quantel signed an agreement with the Israeli firm ALMA Lasers to sell its Dermatology-Aesthetics Lasers business. Quantel Derma is now Alma Lasers. QUANTEL will continue to produce the devices from the dermatology range on behalf of ALMA. This manufacturing agreement is being entered into for a minimum of one year and may be renewed if requested by ALMA. This sale will also pave the way for the Medical Division to focus on developing the Ophthalmology business, which is continuing to increase its market shares thanks to the innovative products released during the last few years. Ophthalmology solutions expert, Quantel Medical, has announced the expansion of its US operation. “In recent years, Quantel Medical has established a strong track record for bringing innovative technology to the international eyecare market. We see the expansion of our operation in the US as an exciting next chapter in the Quantel Medical story,” said Peter Falzon, the newly-appointed General Manager of Quantel USA Inc, Medical Division. “Quantel’s ophthalmology business has been growing in excess of 20% per year for each of the past three years driven by new product introductions and good customer service. Our strategy to invest more in the US market will result in more sales, marketing, training and technical resources in the field to support our customers” said Mr. Falzon. Founded in 1993 in Clermont-Ferrand, France, Quantel Medical is a world leader in the development of innovative ophthalmology solutions. The company’s wide range of ultrasound and laser devices provides diagnostic and therapeutic solutions tailored to the specific needs of patients and doctors. Quantel Medical continues to develop and update its innovative product range -- Recent additions to the product line include the Aviso – a comprehensive ultrasound platform offering seven probes, including the 50MHz UBM, and the Supra Scan – the only photocoagulator platform to offer both pattern scanning and micropulse technology. Quantel Medical now hopes to use its US organization in Bozeman, Montana, to increase brand recognition within the US eyecare industry and to facilitate product integration and innovation in the US market as a whole. Tuesday November 8, 2011, Quantel Medical inaugurated its new premises. De formation CAP/BEP électrotechnique, vous possédez une expérience d’un an minimum sous binoculaire dans une fonction similaire. Quantel Medical, société auvergnate spécialisée dans le développement, la fabrication et la commercialisation de matériel médical dédié à l'ophtalmologie, recherche un ASSISTANT GESTIONNAIRE BASE DE DONNEES (H/F). Quantel Medical réalise plus de 70% de son chiffre d'affaires à l'international. Type de poste: COD - poste basé à Cournon d'Auvergne.